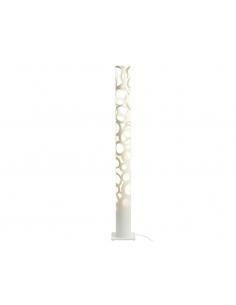 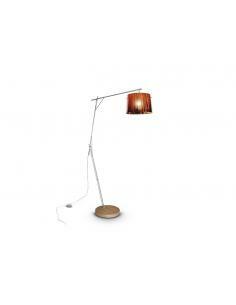 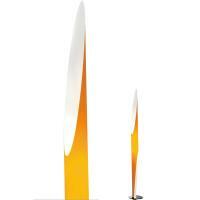 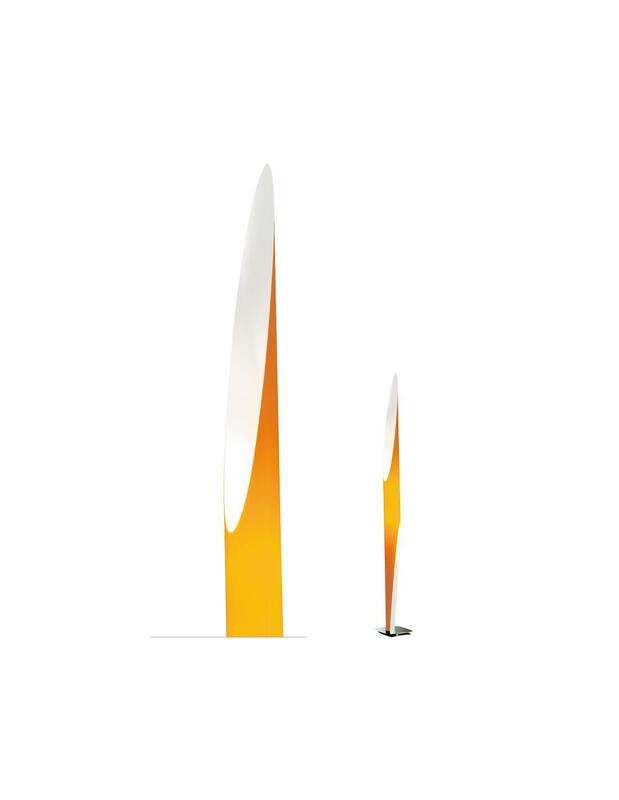 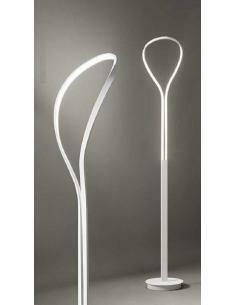 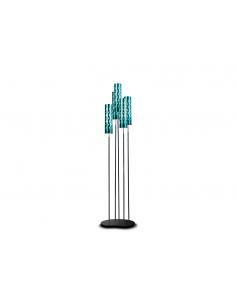 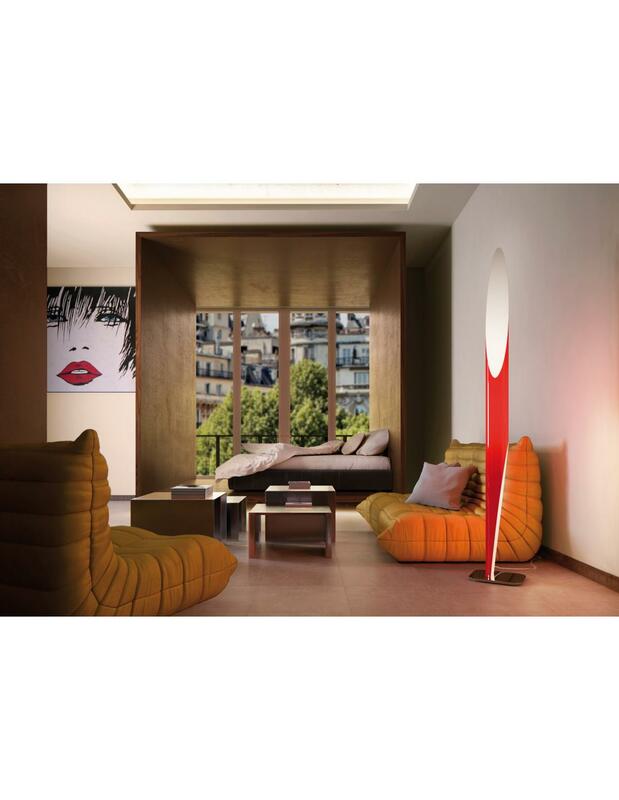 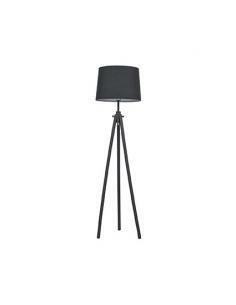 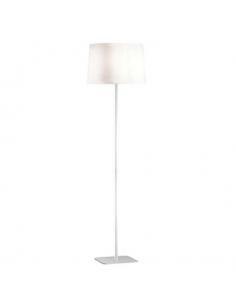 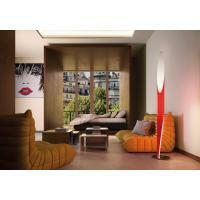 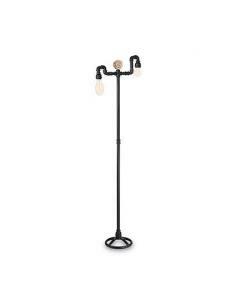 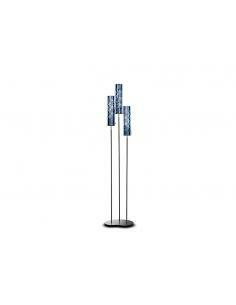 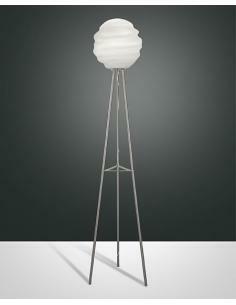 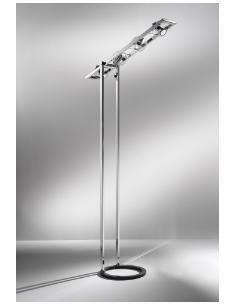 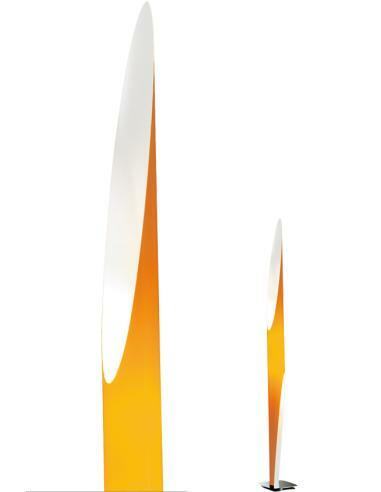 Floor lamp dimmable two lights for reading and ambient, with a diffuser of tubular Plexiglas laser cut and fixed on a steel base satin-finished. 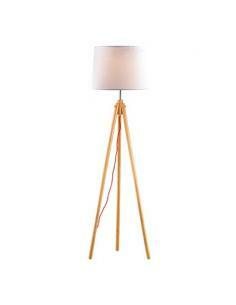 Natural wood Base with metal details. 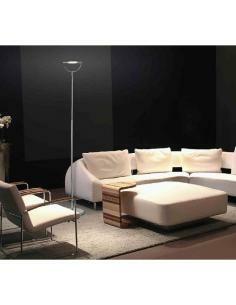 Lampshade sheet pvc coated white fabric. 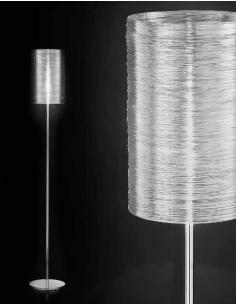 Cable outer fabric. 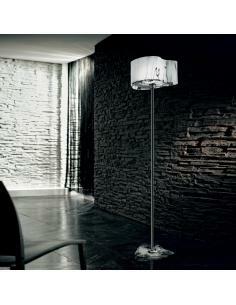 Also available with frame and lampshade in white or black.